In January Professor Delbridge and AGB students Drew Allen and Allison Deoudes participated in the 1st Annual Strawberry Automation Summit. 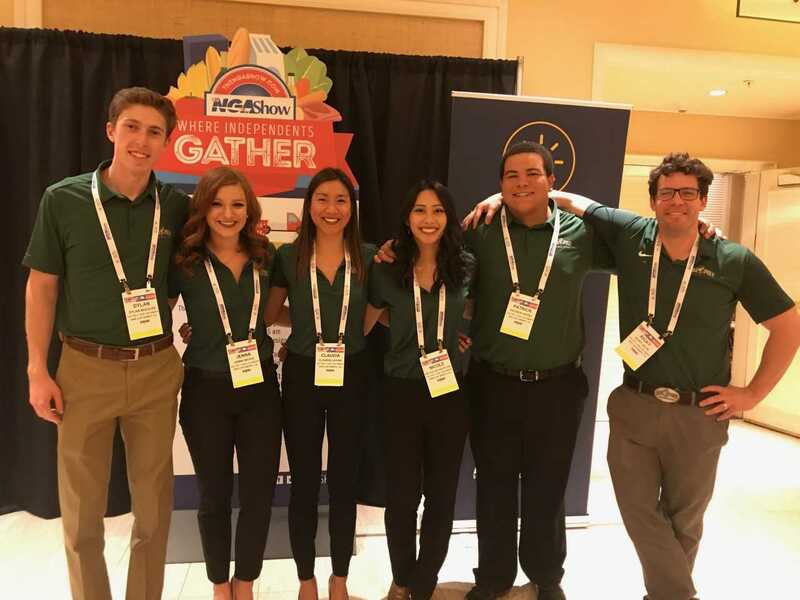 Professor Richard Volpe and Agribusiness students at the 2018 National Grocers Association Annual Meeting in Las Vegas. Cal Poly Agribusiness-One of the nation’s most active, engaged learning environments.